There is a class of Macintosh users who for whatever reason find no incentive to move to Mac OS X, or who have files created in legacy applications that do not have a counterpart in the animal kingdom of Apple operating systems. If this describes you, Mac OS System 9 is the last stop on the hierarchy of Arabic operating systems produced by Apple. But what do you do to keep that system as current as possible? Fortunately, that is a one-time exercise as there are no more updates from Apple for stand-alone users and almost the same number of updates for legacy applications that keep you current with that system. It is for those of you who wish to stay with Mac OS System 9 that this update guide was created. By installing these components, you gain the most potential from your investment. This article address operating system and applications updates from Apple, utilities updates, and applications updates from third party vendors. Installations are all easy to do and can be downloaded via a dial-up connection. Start by checking the model Macintosh you are using. For this story, the world of Macintosh computers is divided into machines with a processor that is either pre-G3 or G3/G4. In the pre-G3 world you have 601 processor [Power Mac or Performa 61/71/8100 series] machines, 603 processor [Power Mac and Performa 5000-series, 6000-series] machines; or 604 processor [Power Mac 73/75/76/85/9500-series] machines. It is possible that you replaced the original processor and installed a G3 processor from a third-party manufacturer. Some third-party processors require an extension to function. Don’t lose that extension if you do any system software updates. It would also be a good idea to check the Web site of the manufacturer to see if there is a newer version of that driver from the one you are now using. Then there is the whole class of G3/G4 processors that will boot directly into Mac OS System 9. With a G-series processor, it is possible for you to install a newer series of updates then is available to the non-G series owner. If you computer does not have a G3/G4 processor in it, you can install up to Mac OS 9.1. It is the last version that will run on a non G-series Macintosh. You will see an error message appear if you attempt to install a newer version. If you have a G-series processor, you can take your computer to Mac OS 9.2.2. There are some applications that require this version of the operating system. Run Disk First Aid until no problems are found. The installer for Mac OS 9 is economical. If it does not see something, like a USB connector or a wireless card in your computer, it will not install those items that make such features work. Thus, if you add those components to your computer after completing this update, you will need to do a custom install for those pieces of system software, or you will find that your new add-on does not work. If you are using an earlier operating system and would like to move to Mac OS 9, it is no longer available for purchase from Apple. You can find it on eBay and sites that sell used Macintosh software. Be sure to ask the vendor for a “universal install” CD. If you are offered something called a “System Software Restore CD,” it is a CD that was created to work with a specific Macintosh model. If the “System Software Restore CD” is not for your model, keep looking. Installation is straightforward for each of the system updates. You update one step at a time: Mac OS 9.0 to 9.0.4; on to Mac OS 9.1; then to 9.2.1 and finally to 9.2.2. Identify your model, download the update and follow Apple’s installation instructions. With the firmware updated, Mac OS 9.1 can be taken to Mac OS 9.2.1 and then to the end of the line Mac OS 9.2.2 that was released on December 5, 2001. Are you using Mac OS 9 on an iMac 15-inch flat panel? If you connect to the Web via a modem in a PowerBook G3 Series, iMac, Power Macintosh G3 (Blue and White), and Power Macintosh G4 (PCI and AGP) computers, you need to install this modem updater. Once installed, you should notice more reliable connection. Modem throughput will be at least as good and often better than before the upgrade. Carbon-based applications are those that can run in either an Arabic or Roman operating environment. This update improves their performance and reliability under Mac OS 9 and in some cases must be installed for such an application to work at all. Open the custom install menu. You are to check the boxes for Acrobat Reader and ‘Search’. Now, click on ‘Install’. You are to do a custom install. Open the custom install menu. You are to check the boxes for Acrobat Reader and ‘Search’. Now, click on "Install." Internet Browsers – Which One? The two newest are Netscape 7.0.2 and Mozilla 1.3.1. Each has an integrated e-mail program. Internet Explorer is the oldest of the four. However, if you need it to access a Web site that insists on IE, install it. It is OK to have more than one browser installed. Outlook Express 5.0.7: is free and found at Mactopia.com. When you hear the start-up bong, hold down two keys: <Command or Open Apple> and <Option>. Hold them down until you see a message on your screen: “Are you sure you want to rebuild the desktop file?” Release the two keys and click on “OK”. With the desktop file rebuilt, it is time to get back to work. Yes you can get high-speed Internet service and it is easy to do. The piece you need to subscribe to a DSL or cable service is called MacPoET. MacPoET is the software that provides PPP [Point to Point Protocol] over Ethernet [PPPoE] for Mac OS 9. It is not a part of your operation system. MacPOET can be found on early versions of the Verizon DSL and Earthlink installer CDs. Once you install it in your System Folder, you can subscribe to a cable or DSL service like the rest of the Roman side of the Macintosh community. Farallon (Proxim), Asante and ORiNOCO also made wireless cards that fit in the PCMCIA slot. They are available on eBay and on the Web at sites that sell used Macintosh equipment. Apple’s Airport software works very well with the ORiNOCO card. The link you need is found at the bottom of the window. After you uncompress the file, you will have a thing that looks like a piece of a puzzle. That is the Flash plug-in. Open your new browser folder and locate the folder called “Plug-ins”. Drag the plug-in on top of that closed folder. 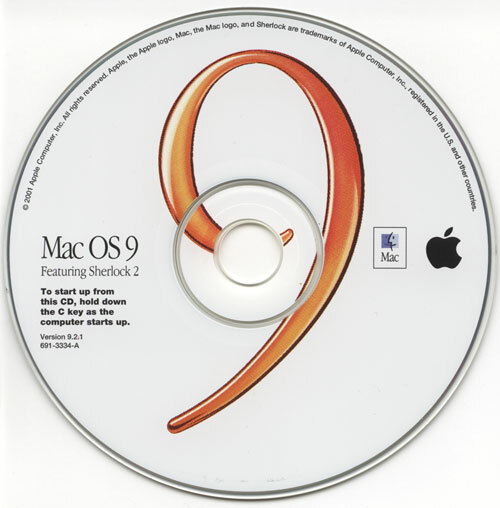 Download the Mac OS 9 version of TNEF [1.0b2FAT]. Users describe it as similar to WriteNow. Word 6: There are known issues with using Microsoft Word 6, Microsoft Excel 5, and Microsoft PowerPoint 4 (bundled as Office 4.2.1). If you are in Mac OS 9, do not use it. Office 98 and Office 2001: updates are at the Mactopia URL above. The printer driver for many inkjet and laser printers requires an update to work reliably with Mac OS 9. Go to the Web site for your printer and look in the download section. If there is an update for yours, download and install it. Daylight Savings Time change for Mac OS 9. Apple has no plans to fix the code that automatically translates the old Daylight Savings Time formula to the new one mandated by Congress. Find the Date & Time control panel and uncheck “Set Daylight-Savings Time Automatically.” You will have to spring ahead and fall back manually. There is a hack that restores the automatic feature, but explaining how to install it is beyond the scope of this article. and download Peek-a-Boo 1.6 and Memory Mapper 1.5. Now don’t get carried away at this Web site. There are some things there with which you really don’t want to play. Thought of something else you want? Help yourself to the lost loot of Apple. You will find manuals, software updates, disability solutions, and lots of miscellaneous goodies to get you in trouble. and discover that you have not been forgotten. Click on the tabs to select the category of Mac OS-9 applications, utilities or games you would like to browse. Run Disk First Aid again. Hold them down until you see a message on your screen: “Are you sure you want to rebuld the desktop file?” Release the two keys and click on “OK”. Find the folder with the application in need of additional RAM. Open it. Find the application launcher. Click on it once so that the icon turns black. Hold down the <command/open Apple> key and press the letter “I” [to get information]. A window will open. Place your arrow in the “General Information” box. Hold down your mouse button and scroll down to “Memory”. The bottom number “Preferred Size” is the one you want to increase. After you increase that number, click on the square in the top left of the window to close it. On to the next one in need of more RAM.